Designed keeping the latest trends in mind, this saree from the house of De Marca will be a nice addition to your closet. It has been crafted from a crepe fabric, which offers comfort and ensures easy maintenance. In addition, it flaunts a floral print that enhances its look. 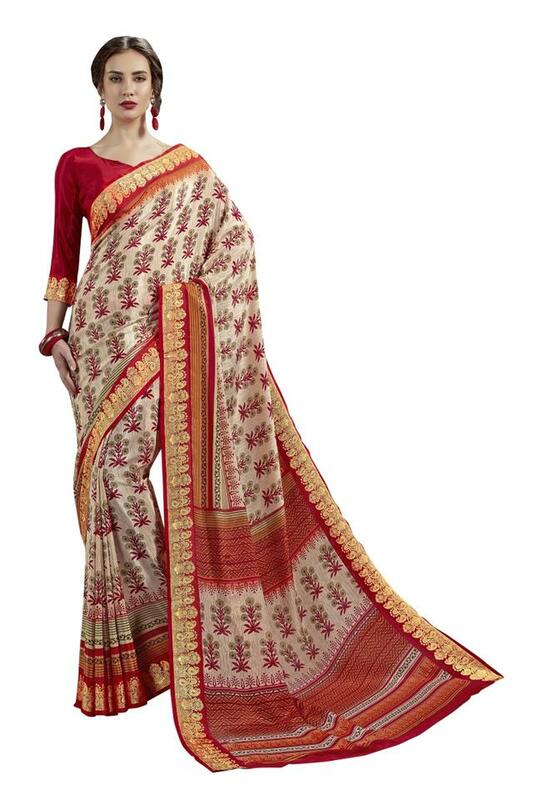 Flaunt some style wearing this saree to any casual occasion. Team it with a pair of heels and matching earrings for a perfect look.